Decorative decalk of a curved star coloured in. 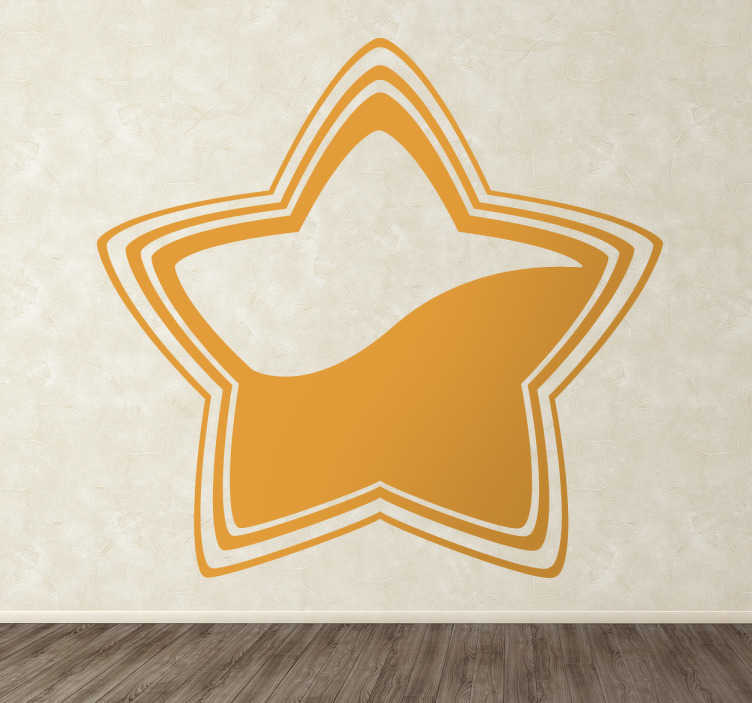 A unique design from our collection of star wall stickers to decorate your walls at home. An original decal that everyone would love, surprise everyone with this creative sticker. This sticker would be good for any room at home, this perfect sticker that transform your walls into something special. Choose the size and colour that best fits the surface where you will place this decal.